Who you gonna meet? Developers! We’re often saying how you can’t really feel and truly understand the power of Magento community until you attend one of the many events in a packed calendar that’s getting fuller every year (hey, Meet Magento went to Vietnam and Japan last year!). 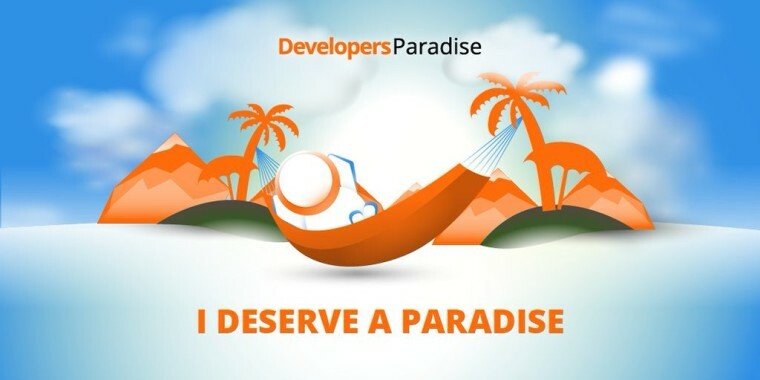 Now, take that power, add some steroids to it and you get Developers Paradise – this event is different from any other because we pay special tribute to the true heroes of eCommerce, those making it all happen (don’t make me go all Steve Ballmer on you) – developers, developers, developers! So, who’s coming and what’s on the agenda? I mentioned over 30 countries earlier, and the majority of the people coming will be from Europe (no Eastern vs Western Europe, we’re all in the same Magento 2 pickle here ;)) with a handful of delegates crossing the ocean(s) to get here – people are coming from Canada, USA, Australia, New Zealand. There are some that come in wolf packs, some lone developers, but we’ll make sure everyone feels relaxed and makes the most of the event. We have an amazing speakers roster, but not only that, the audience will be packed with people who know their stuff when it comes to Magento (2), so the pressure will be on the speakers to deliver something good. It actually seems a bit unfair to single our only these guys, so check out the entire roster and an agenda that’s really packed with quality Magento 2 content. Oh, did I forget to mention that we’re kicking things off with a Monday morning Magento 2 hackathon? I did? Sorry, but we are – and we have just the right person to MC it – it’s Damian Luszczymak assuming the role of our Hackathon Shaman – needless to say, everyone’s in really good hands. Ok, so you have the “code” part covered. What about the “fun in the sun”? Glad you asked – Opatija is an amazing resort and the hotel complex is situated right at the beach and on the long scenic seaside promenade – plenty of opportunity to soak up some sun. But, we won’t leave the fun part to chance – we have three great parties and an adrenalin park adventure prepared, in addition to many more suprises coming your way. Can’t wait! So excited and happy to have my ticket ready! Well, this all sounds great! Where do I sign up? Then better hurry up and get your ticket now! See you soon in Opatija! And if you’re attending Imagine in Vegas, why not have it both? Is there a better way to reminisce about everything that will be going on there than on the Adriatic coast with this amazing group of people?